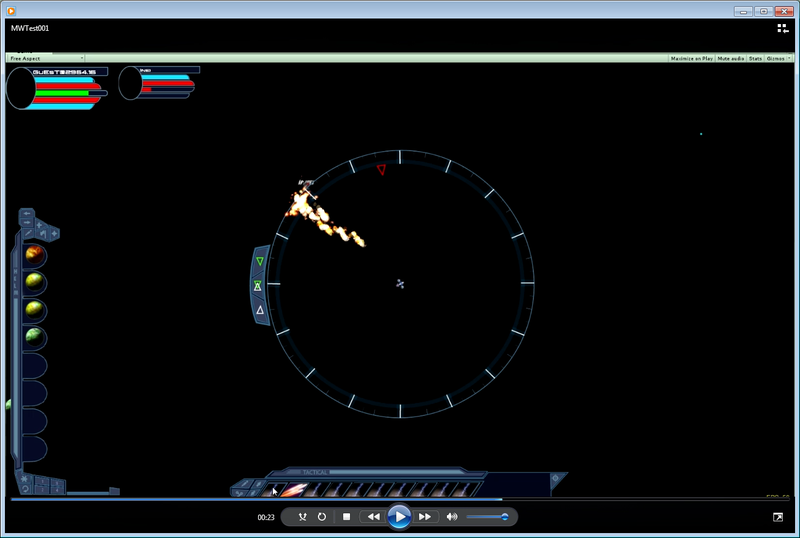 Lots of testing this weekend, and normal space combat is almost finished. 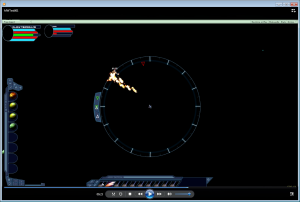 Completed items: Smooth movement of the ships, laser particle effects for both player and other ships – any visible ship will display the damage taken, several issues with the parent child relationships (unity stuff) and impulse engine to the other ships in the system. Items left: keyboard input (as you can see in the video I am moving the mouse too much), laser cool down indicator, radar graphic and a laser lock indicator. There are something to be adjusted such as the size of the explosions but that can wait.